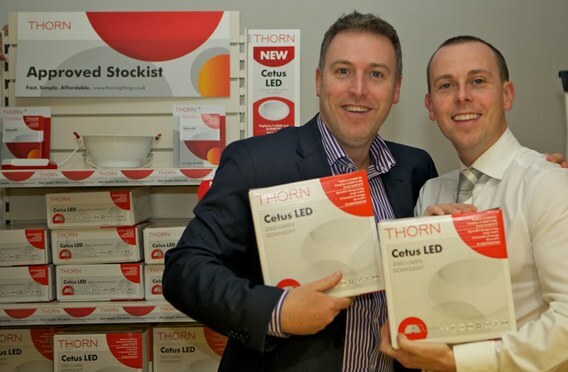 Welcome to the NEW Trade range from Thorn. The Thorn mission is to make great lighting available to all. Through our network of leading wholesalers across the UK and Ireland we make our products accessible to you. We strive to deliver high performance lighting. Our products suit all project requirements and can be used in various applications such as offices, schools, retail and industry among others. We offer products with outstanding quality, easy installation and maintenance at competitive prices. Thorn provides this to you in close cooperation with your local wholesaler. Save time. Save money. Save energy. With our comprehensive portfolio you can realise smaller and larger projects in a fast, cost-effective manner. Depending on project requirements, solutions with conventional technology as well as up-to-date LED luminaires can be implemented – all according to your budget. Click here for the latest products and downloads.